Sorry about the title of this post – no, wait – never apologise! As I wrote it I was thinking ‘Hugh, Pugh, Barney McGrew, Cuthbert, Dibble, Grump’ – aka the fireman in Trumpton. I’ve probably got the names a bit wrong but that’s how I remember chanting them as a child. An early poetic influence..? 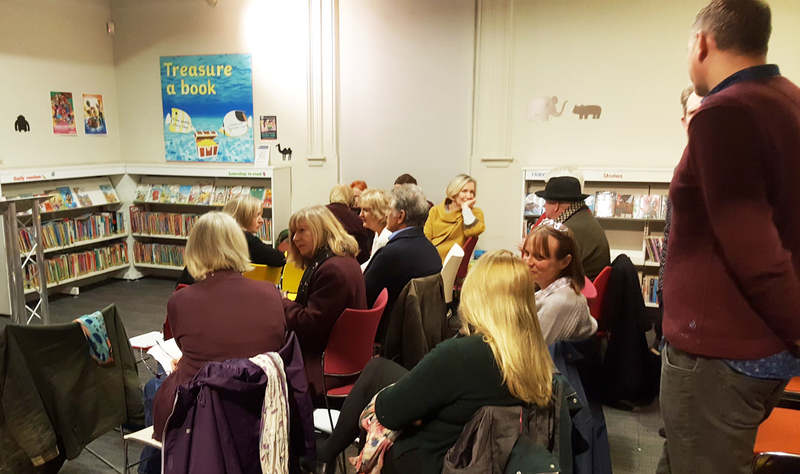 So – to Loose Muse – I had an invitation to read some months ago from Sue Wrinch, who runs the monthly group Loose Muse at the Discovery Centre (aka the Library) in Winchester. I’m always excited to be asked to read, although I admit I was daunted when Sue said it would be alongside the mighty Sasha Dugdale. Sasha is a poet, playwright, translator and editor who is, I’ll be the first to admit, in an entirely different league from me. 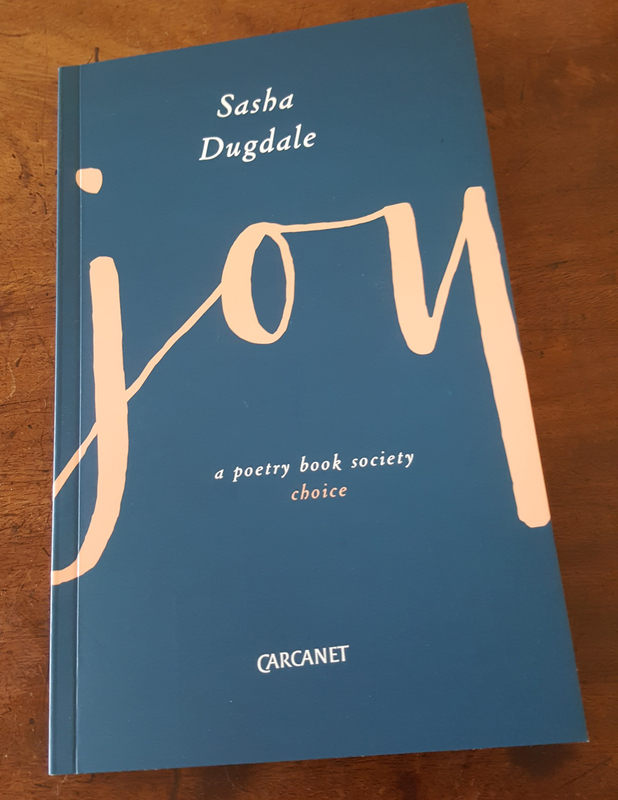 Among her many achievements: her long poem ‘Joy’ won the Forward Prize for Best Single Poem in 2016 and is the title poem of her new collection from Carcanet. I loved Sasha’s reading of an extract from ‘Joy’, which is written in the voice of Catherine Blake, who was wife to William. The poem is both riveting and moving, formally inventive and not without humour. Sasha read sensitively throughout, and I was much relieved to find her a very warm person and not the slightest bit grand. Unfortunately she had to leave early to catch a train but not before we exchanged a few words and I managed to get a photo. I was reasonably pleased with how my reading went and I think I finished a bit early – but I’d always rather do that that go on too long. Most exciting to sell a few pamphlets – including the first three copies of Foot Wear! Loose Muse is a well-supported event and I was struck by the fact that the open mic was clearly a key part of the evening. Sue kept things moving but there was a definite sense that every reader was important, not just the ‘feature’ readers. Those who read appeared comfortable and seemed to trust their audience – the overall effect was one of a reading and writing group rather than the kind of ‘free for all’ car crash craziness that often seems to occur at open mics. 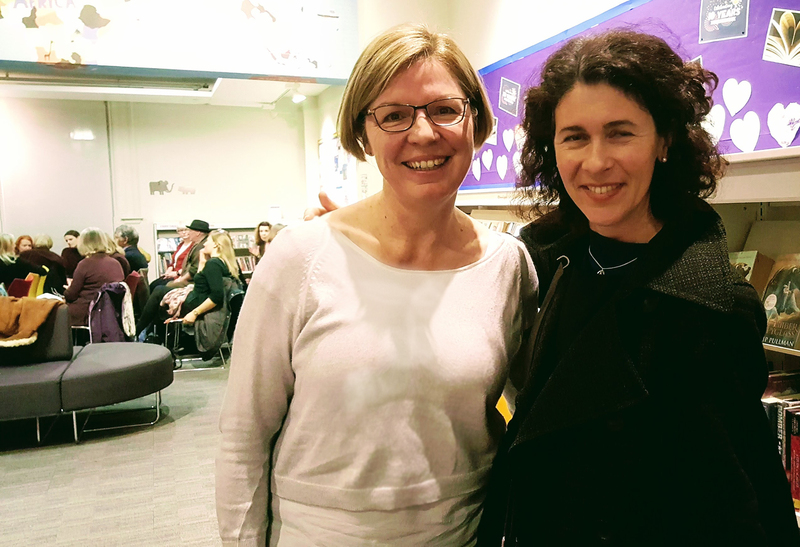 Sue even does a full write up of each event – you can read last Monday’s one here. All in all a generous and hard working host. I’m very grateful to Sue for the invitation. And in Other News … Jeremy Page has very kindly accepted a new poem for The Frogmore Papers. Fab news, especially as it was one that came out of the lovely Jackie Wills workshop day when I was suffering from some sort of age-related migraine. Joy indeed! Meanwhile, at Telltale Press we are putting together an anthology to come out in the Spring, with contributions from our many ‘Friends of Telltale’. It’s at a very exciting stage, at which we start to discuss and order the poems. Now I need to finish my own contribution – ack!